Often lumped in with l’enfant terrible filmmakers like Catherine Breillat and Gaspar Noé, Bruno Dumont has softened his approach since Twentynine Palms (2003) made you want to through your Milk Duds at the screen. A more even temperament has added an interesting dimension to his work, but it is also somewhat relative, given the difficult, brutal, and sometimes confusing material found in Flanders (2006), Hadewijch (2009), and Hors Satan (2011). His most recent promises to be another experiment in these same waters (and on us), but with an unusual tick of conformity in structure: a historical biopic starring Juliette Binoche. Camille Claudel 1915 takes place over three days in an asylum where Claudel has been institutionalized and where she would eventually die. Forget the fiery costume aesthetics of the 1988 Bruno Nuytten/Isabelle Adjani film – Dumont subdues all colors to ash, moderates all emotions with resignation and heartbreak, and casts real-life mentally disable people in supporting roles. 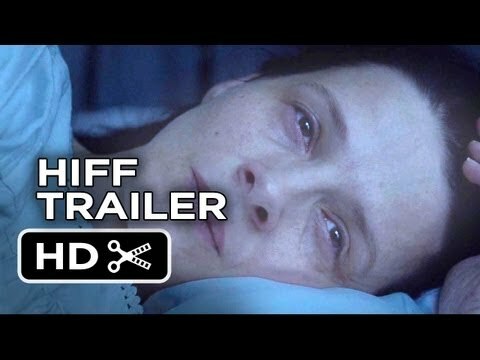 The result is something unique to the combination of Dumont’s rigor and Binoche’s humanity. Posted on December 6, 2013 by Peter Schilling Jr. When exploring film history, you run into a large assortment of anti-war films, yet none are more devastating and masterfully argued than Stanley Kubrick’s Paths of Glory. On reflection, it is odd that Kubrick, cinema’s greatest tactical ideologue, could make such a movingly humanistic film as this. Perhaps it was his cerebral approach to cinema that gives this film so much power. The story is, after all, simultaneously human and inhuman. Its central characters exhibit inherent humanity in their compassion for one another, but the larger political systems that deeply affect them operate with simple pragmatism. It is through this veil of pragmatism that Kubrick tells his story, keeping his viewers at arm’s length and demanding sociopolitical reflection deeper than simple sympathy. So many anti-war films will appeal to emotion and burn down straw-men, but the reserve Kubrick shows with this film allows the atrocities he presents to be both shocking and comprehensible. The plot begs for melodrama, but Kubrick does not allow it any, making its injustices not simply heartbreaking, but persistently nauseating. It is easy to forget a simple argument against pride or bigotry–we all agree these attributes are detestable. It is much harder to dismiss a film that builds emotional ties to its characters while presenting systematic problems with political systems, arguing succinctly that there are no easy answers. 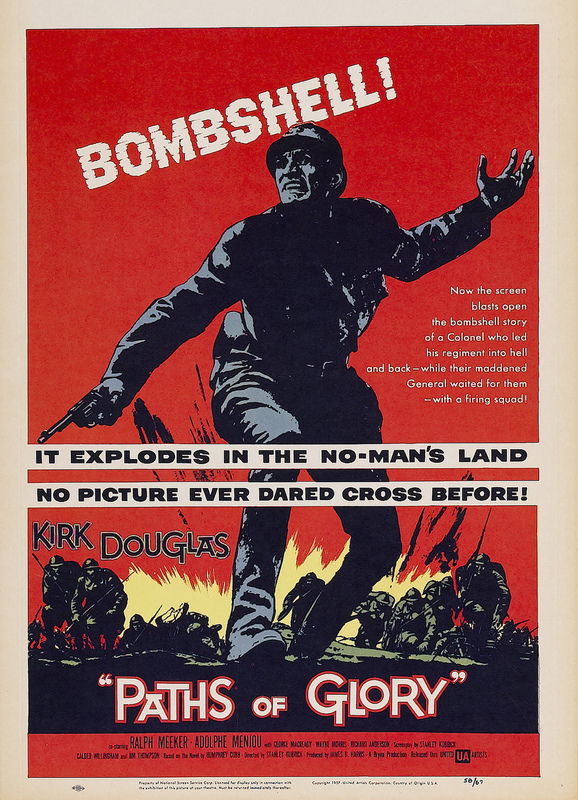 There is so much that could be praised about this Paths of Glory, from the terrifying thrills of its tracking shots through the trenches of World War I to its deeply moving and sobering finale, which provides a perfect call to action. It is a furious and tense 90 minutes that is both suspenseful and thoughtful. As few war films do, not just the brutality of its action, but its arguments stick in your gut long after viewing. Paths of Glory screens Friday and Saturday at 7:00 and 9:00, Sunday at 5:00 and 7:00. Purchase tickets here. A Touch of Sin at the Trylon tonight and tomorrow! Posted on December 2, 2013 by Peter Schilling Jr. Legendary Japanese film director Takeshi Kitano unexpectedly comes to mind throughout Touch of Sin, the new film from Zhangke Jia who has long been considered China’s (and possibly the world’s) most important living filmmaker. The connection is not simply due to the opening credit appearance of Kitano’s production company Office Kitano (whom Jia has worked with on numerous past occasions), but rather in the violence that punctuates the proceedings. Jia has never been one to utilize physical brutality, pointing his camera instead at lost, wandering souls within China’s ever-shifting social and political climates. But make no mistake, Touch of Sin‘s four main characters (from all corners of China) are as confused and dislocated as ever, mirrored by various animals of the zodiac that appear in many of the film’s most beautiful shots. It is a strange new world that has grown beyond past philosophies, whatever they might have been. What makes this movie unique among Zhangke Jia’s filmography is that it finds the director at his angriest. No longer can his characters sit by idly while drowning in change. There are repercussions, and it is in them that a reflection of Takeshi Kitano can be glimpsed. The violence of both is brief and shocking, striking without warning and dissipating just as quickly. It can be almost amusing, as in Touch of Sin‘s reprehensible game of golf, and most certainly surreal, as Jia’s style and genre-at-play seems to transform at every instance of bloodshed. This violence, however, has a tie to reality, as the four events portrayed here are based on true events. Jia claims that sporadic violence in China has increased in recent years, and I am inclined to believe him. His work has always reflected contemporary China like no others, and Touch of Sin feels no different. It is at once gorgeous, harsh, and esoteric. Such is the world. Joseph Larsen currently works at the Uptown Theatre, curates movies at the University of Minnesota, and on occasion makes a film. He is particularly fond of VHS. A Touch of Sin screens tonight and tomorrow at 7:00 & 9:30 at the Trylon microcinema. Tickets available here.